WildFutures is dedicated to advancing the protection of large carnivores, with special emphasis on mountain lions. We work with scientists and wildlife agencies to understand and convey the important role that top predators play in the landscape. Through the power of education, media, and the best available science, we collaborate with other organizations to find cost-effective ways to conserve carnivores and address negative perceptions of them. Founded in 1994, WildFutures is a project of Earth Island Institute. We bridge the gap between science and conservation. We believe developing a greater understanding and appreciation of mountain lions will not only advance the protection of these animals but also promote safe co-existence between people and wildlife. ​Because of the complexity of issues facing wildlife, WildFutures also offers capacity building programs to environmental and conservation groups, to help build strong leaders and thriving organizations. By providing essential tools, trainings, and resources for many groups, we have a ripple effect reaching far beyond our immediate projects. 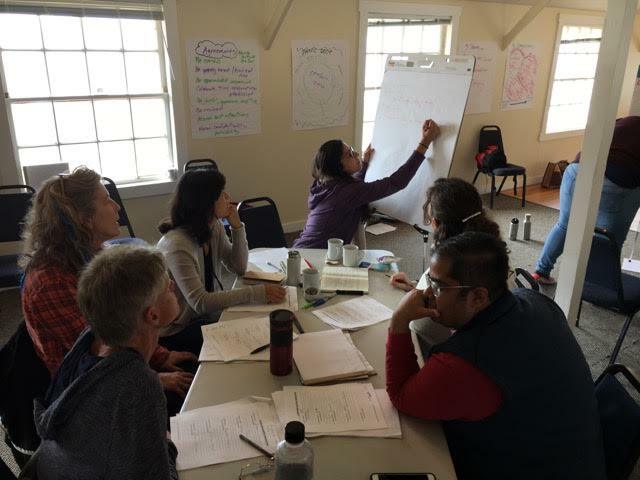 WildFutures works to provide cost-effective and practical hands-on training, essential resources and materials, and coaching for organizations, agencies, and scientists. Sharon has dedicated her life to advancing the protection, conservation and management of mountain lions and ensuring that they flourish in our natural world. ​She has worked with government and nongovernment organizations on natural resource issues since 1980. Sharon co-founded the Mountain Lion Foundation in 1986 and served as its director until 1990, after working with others to pass a California ballot initiative that banned trophy hunting of mountain lions and allocated $30 million a year for 30 years to critical wildlife habitat. As founder and director of WildFutures since 1994, Sharon has produced high profile books and films. She also co-founded the Wild Felid Research and Management Association in 2005 and served the Grizzly Bear Outreach Project (now called Western Wildlife Outreach) as co-director in 2009–2011 and project advisor in 2012. Among her published works are Cougar Management Guidelines (2005); Cougar Ecology and Conservation (2009), with renowned cougar biologist Maurice Hornocker; and numerous reports and papers for foundations, agencies, and conservation organizations. She produced the films The Secret Life of Mountain Lions (2016) and La vida secreta de los pumas (2017), and she co-produced the award-winning film On Nature’s Terms (2001) and a television public service announcement on cougar and bear awareness and safety. Some of Sharon's early work was as legislative director for the State Coastal Conservancy, as executive director of the Planning Conservation League, and with the Lung Association of California. In her role as director of WildFutures, she continues to provide consultation to a wide array of regional, state, national, and international wildlife organizations as well as conducting capacity building programs for Earth Island Institute's 74 environmental organizations. Sharon also provides personal and professional coaching to environmental leaders. ​​She has a B.S. in Environmental Policy and Planning from the University of California, Davis. Sandra received her veterinary degree from the National Autonomous University of Mexico (UNAM) School of Veterinary Medicine and Animal Husbandry (FMVZ) in Mexico City in 2006. She undertook a one-year internship in zoo animal medicine and husbandry at national zoos and worked in clinics and private hospitals intermittently. In 2008 she did a research internship with EcoHealth Alliance (formerly Wildlife Trust) and worked as field scientist and communications manager of the San Francisco based non-profit Rainforest2Reef and Amigos de Calakmul in Mexico. 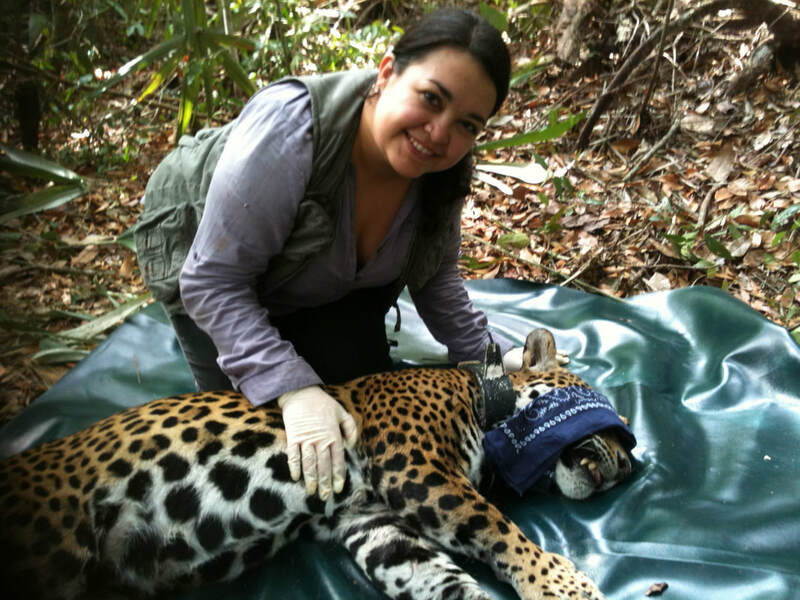 From 2008 - to present she has worked as a field veterinarian for the “Jaguar and Puma Conservation Project, Calakmul Biosphere Reserve (CBR) out of the institute of Ecology at UNAM as well as other jaguar research projects in the Yucatan Peninsula in southern Mexico. She completed her Master of Animal Health Science at UNAM and her research project was focused on determining the prevalence of exposure to canine distemper virus in jaguars, pumas, and domestic dogs in the vicinity of the CBR. Sandra has presented lectures and conducted workshops on disease ecology, conflict with carnivores and domestic animals and anesthesia and chemical immobilization of captive and free-ranging wildlife and has served as advisor of rehabilitation and release projects involving carnivores in Mexico. It's rare to find a nonprofit organization with a 25-year history of programing that makes a real impact year in and year out. Mountain lions and the people who care are about their survival have a true champion in Sharon Negri, founder and director. ​ - Neva Welton, author, "Global Uprising-Confronting the Tyrannies of the 21st Century"